I have some sad news to share with you. I have been a fitness instructor for 38 years and taught many classes, and I have really enjoyed this work. Recently, I have enjoyed taking other people’s classes and trying new things. However, when I see something that is unsafe, I feel an obligation to share my thoughts. I recently visited SoulCycle, and I was bothered by some of their unsafe practices. Listen to learn why I think CycleBar is better and safer than SoulCycle. [01:38] – When I see something that is unsafe, and it’s a successful program, it worries me. [02:04] – I wanted to go to SoulCycle in Beverly Hills. Safety is really important to me, and I saw some real safety concerns. 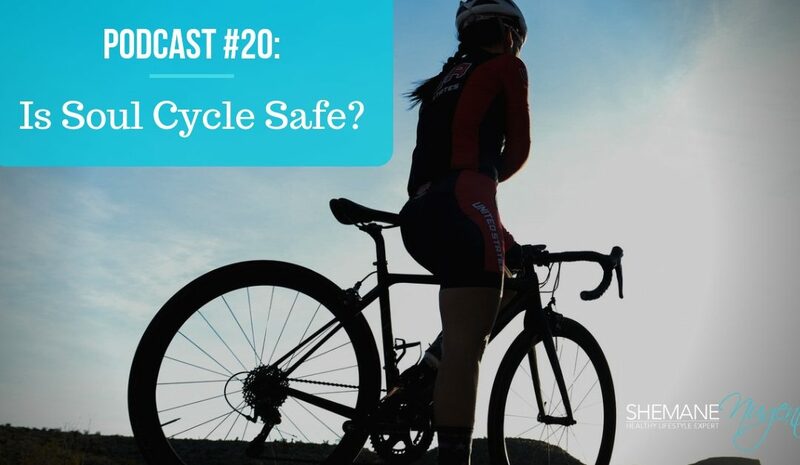 [04:28] – CycleBar is better because it’s safer. [05:51] – I tested CycleBar and came to this conclusion. [06:36] – SoulCycle is focused on speed, and not strength. [07:31] – My issue is more with the formula of SoulCycle. [08:29] – When I first went to CycleBar, I was not thrilled with my stats. That told me I needed to focus on strength, not speed. [09:14] – I’m worried about everyone looking at SoulCycle as the hot, new fad. [10:18] – In a recent Sacred Inner Circle session, I talked about safety with motion. [11:39] – People are going to hate you. Do good anyway! [12:57] – When you focus on speed, there’s no way you can focus on form.